[op_liveeditor_element data-style=””][text_block style=”undefined” align=”left” font_size=”18″ font_font=”Myriad%20Pro”]Welcome to JazzSkills for Piano. No fooling . . . this is the most effective method to become a jazz pianist. This is NOT a simplified quick & easy approach. It is a deep consistent carefully planned method of learning jazz piano to develop the actual skills which will enable you to comfortably and creatively improvise jazz. These lessons literally take you from . . . here to there. We start at the beginning with classical improvisation and move toward advanced jazz study. [op_liveeditor_elements] <div class="row element-container cf " >[op_liveeditor_element data-style=""][text_block style="undefined" align="left" font_size="18" font_font="Myriad%20Pro"]Welcome to JazzSkills for Piano. No fooling . . . this is the most effective method to become a jazz pianist. This is NOT a simplified quick &amp; easy approach. It is a deep consistent carefully planned method of learning jazz piano to develop the actual skills which will enable you to comfortably and creatively improvise jazz. These lessons literally take you from . . . here to there. We start at the beginning with classical improvisation and move toward advanced jazz study. Getting from here to there . . . If you are a beginning pianist who wants to start the improv process by learning theory the theory lessons and motion exercises are here to get you started. If you are an accomplished classical pianist who wants to develop general improvisation skills there are specific lessons just for you. If you are a teen who is being introduced to jazz band look for the specific lessons which will teach you how and what to comp . . . and how to solo. Are you a jazz player who wants to deepen your skills there are advanced lessons for you. Are you a vocalist who wants to learn enough comping skills to back yourself there are great lessons in developing comping skills. Enjoy the fun of playing JAZZ!!! What is JazzSkills for Piano? Over 200 individual video lessons. Each lesson develops one skill to be mastered by the subconscious. Downloadable PDFs and text (new lessons to be added). Develop the skills you personally need. Learn lessons at your own pace. Reach your goals one step at a time. Martan Mann’s “Private Lessons” Blog – This is a special video blog which will feature Martan casually describing many aspects of jazz piano. These lessons will be linked to the lessons that you are studying in the course. Email contact with Martan is available. Webinars are planned for the near future. Lots of extra supplements are being developed. Search lessons by category or title. Self-Evaluation questions provided to help you determine your mastery of each lesson. JAZZ MASTERCLASS: Step-by-Step offers intensive stand-alone lessons on specific subjects. JazzSkills for PianoGet Started Now!!! [op_liveeditor_element data-style=””][text_block style=”undefined” align=”left”]Martan Mann has created single stand-alone intensive lessons for the jazz pianist. This series of lessons give step-by-step instruction in analyzing and developing specific skills tunes and styles. This solves mysteries. This gives answers Now! You can choose your tune and/or style to develop it fully and creatively. New Step-by-Step lessons are will be added soon. These lessons are available for separate study (to view for three months) . . . and are also included with a subscription to JazzSkills for Piano. This is a recurring payment. You will receive an automatic renewal in three months. If you decide not to continue discontinue your payment in PayPal at that time. [op_liveeditor_elements] <div class="row element-container cf " >[op_liveeditor_element data-style=""][text_block style="undefined" align="left"]<strong>Martan Mann</strong> has created single stand-alone intensive lessons for the jazz pianist. This series of lessons give step-by-step instruction in analyzing and developing specific skills tunes and styles. This solves mysteries. This gives answers Now! You can choose your tune and/or style to develop it fully and creatively. New Step-by-Step lessons are will be added soon. These lessons are available for separate study (to view for three months) . . . and are also included with a subscription to <a href="http://jazzskillsforpiano.com"><strong>JazzSkills for Piano</strong></a>. This is a recurring payment. You will receive an automatic renewal in three months. If you decide not to continue discontinue your payment in PayPal at that time. Playing Piano has always been an avocation of mine. I love playing popular Jazz Standards as well as creating original music. What has helped me in my quest for self improvement was my discovery of Martan Mann’s incredible array of piano videos that appeared on YouTube. What I learned from these videos opened up my eyes and ears to the kind of possibilities that would allow me to elevate my piano skills to a new level of professionalism that I could only previously hope for. 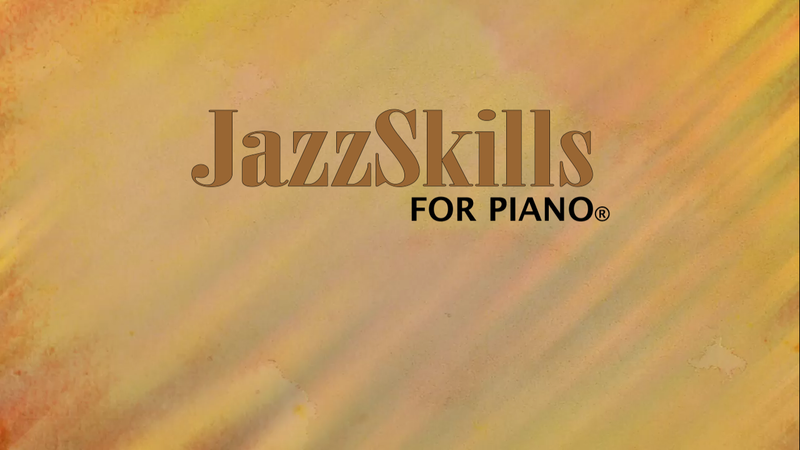 It appears that Martan has now incorporated his videos into a comprehensive internet course called “JazzSkills for Piano” which is sure to be a Godsend for the serious aspiring Jazz Pianist. LA Pianist and President of Speedydog Corp.
Martan is a great musician whose deep love of music comes through in everything he does. You can learn a lot from this Mann! Martan has an amazing depth of knowledge about jazz. He shares that knowledge effectively and in a logical sequence with his students inspiring them to reach their goals as improvisers and jazz musicians. It isn’t always an easy journey but he never tires of finding new ways to bring each student along to the next level of expertise. I highly recommend this course. Martan Mann is one of the most exceptional jazz pianists I have ever worked with. His extreme skill levels are matched equally by his artistic freedom and playfulness. fully inspiring. If I were going to study piano again Martan would be my first and only choice as a teacher. What a great opportunity for aspiring pianists ANYWHERE to study with a jazz master! This is like a guide to the vast “jazz piano universe” structured around today’s technologies and tailored for a truly global classroom. As a performer and an educator Martan Mann’s wealth of experience formidable chops prodigious skill and knowledge make this deeply fundamental yet comprehensive course the “YES!” a serious player needs to achieve their musical goals and aspirations. Martan Mann’s video series is the super-impressive unveiling of a mysterious multi-layered subject: how to play jazz piano. Step by step he demonstrates each aspect building in sequence from the simplest foundation to the most sophisticated level of playing making this one of the most thoroughly thought-out approaches to jazz study. Students of all levels will benefit and it shouldn’t only be pianists who use this–Mann’s wisdom will apply to any instrument. Martan I have reviewed your new course and you should be proud. As a professional musician myself I can tell you the loss I feel from not having a resource like this forty years when I was starting out. It is a humbling to admit how much I learned from just reviewing your course even though I have been at this for so many decades. As with so many things that you do in life Martan this is a real masterpiece. If you want to get into jazz concept from the beginning and all the way to the deep end of the pool then I heartily recommend Martan Mann’s Jazz Skills piano courses. I’ve been a professional pianist for over 40 years playing jazz show tunes and teaching music. When I listen to Martan I am always inspired. His playing is rich with jazz harmonies great lines and lots of groove. I like to believe I know a lot about playing piano after all these years but when I hear Martann play I always try to look over his shoulder and ask him a few questions about what he’s doing so I can add something new to my concept. The nice thing about his Jazz Skills course is he is explaining what he is doing for all jazz students. [testimonials style="2" margin_top="" margin_bottom=""][testimonial name="Shelly Dubow" company="LA Pianist and President of Speedydog Corp." href="" image="https://jazzskillsforpiano.com/wp/wp-content/uploads/2013/10/ShellyD.jpg"]<p>Playing Piano has always been an avocation of mine. I love playing popular Jazz Standards as well as creating original music. What has helped me in my quest for self improvement, was my discovery of Martan Mann’s incredible array of piano videos that appeared on YouTube. What I learned from these videos opened up my eyes and ears to the kind of possibilities that would allow me to elevate my piano skills to a new level of professionalism that I could only previously hope for. It appears that Martan has now incorporated his videos into a comprehensive internet course called “JazzSkills for Piano” which is sure to be a Godsend for the serious, aspiring Jazz Pianist.</p>[/testimonial][testimonial name="Steve Wilson" company="Music Professor, Cabrillo College" href="" image="https://jazzskillsforpiano.com/wp/wp-content/uploads/2013/10/Steve-Wilson.jpg"]<p>Martan is a great musician whose deep love of music comes through in everything he does. You can learn a lot from this Mann!</p>[/testimonial][testimonial name="Diane Glazer" company="Music Educator, Music for Minors, San Francisco Bay Area" href="" image="https://jazzskillsforpiano.com/wp/wp-content/uploads/2013/10/DianeG.jpg"]<p>Martan has an amazing depth of knowledge about jazz. He shares that knowledge effectively and in a logical sequence with his students, inspiring them to reach their goals as improvisers and jazz musicians. It isn't always an easy journey but he never tires of finding new ways to bring each student along to the next level of expertise. I highly recommend this course.</p>[/testimonial][testimonial name="Pamela Polland" company="Jazz Vocalist, Maui" href="" image="https://jazzskillsforpiano.com/wp/wp-content/uploads/2013/10/PamelaP.jpg"]<p>Martan Mann is one of the most exceptional jazz pianists I have ever worked with. His extreme skill levels are matched equally by his artistic freedom and playfulness.